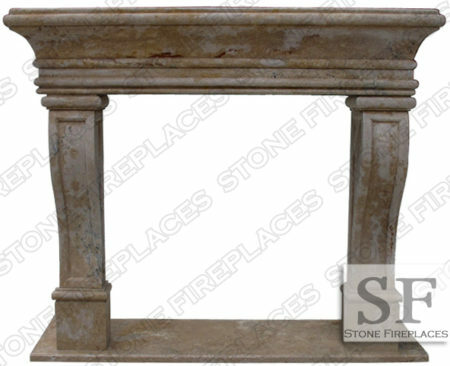 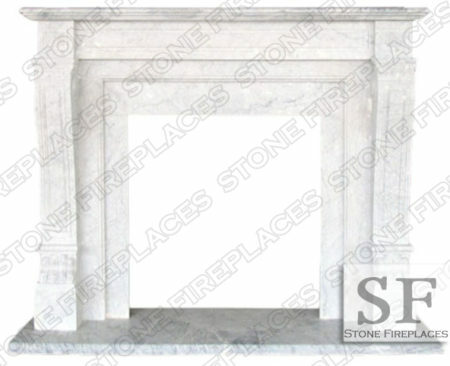 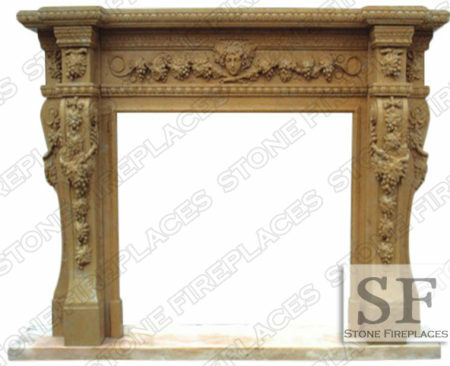 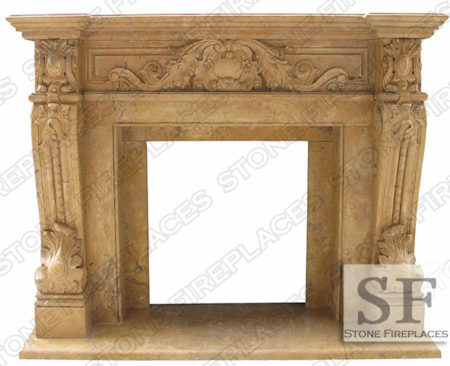 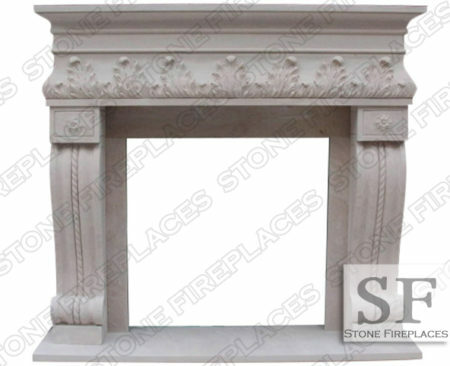 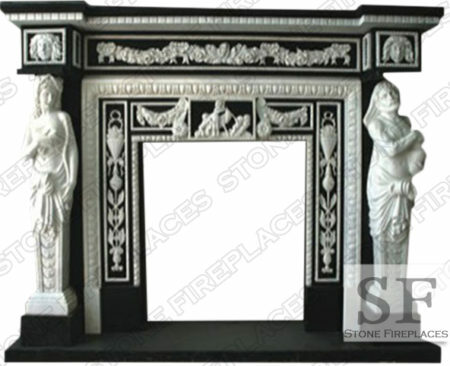 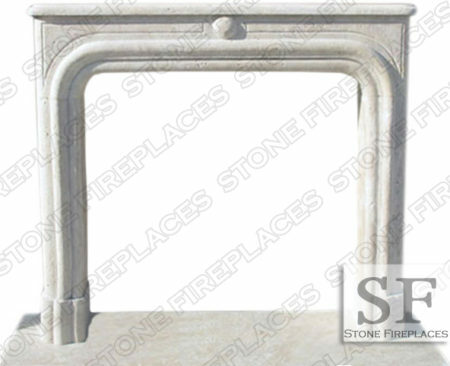 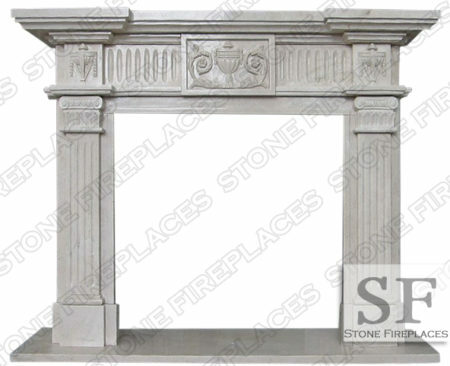 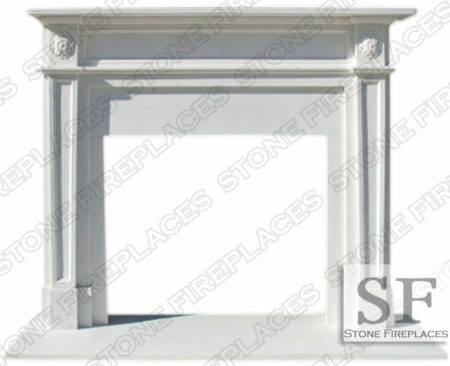 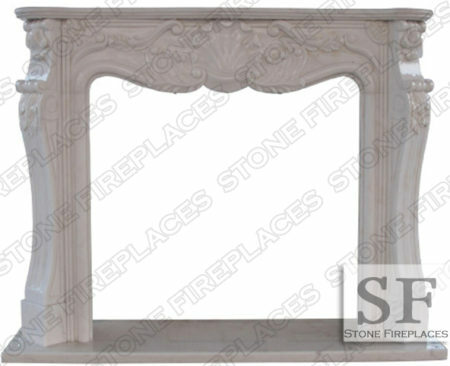 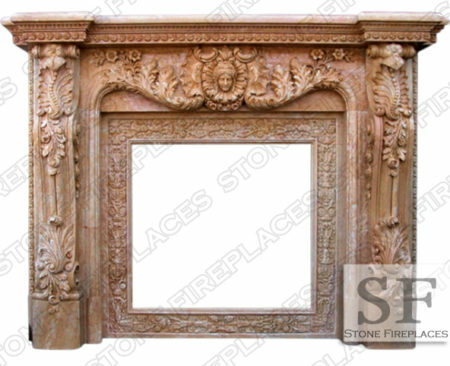 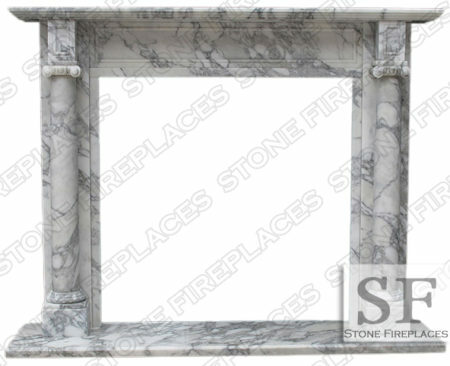 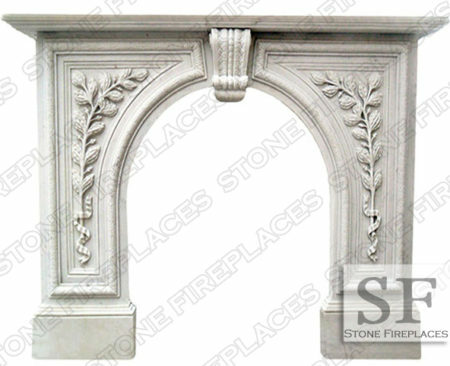 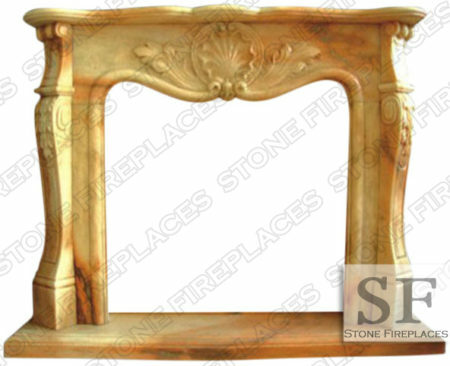 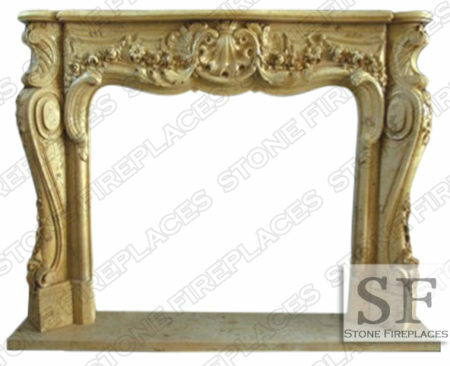 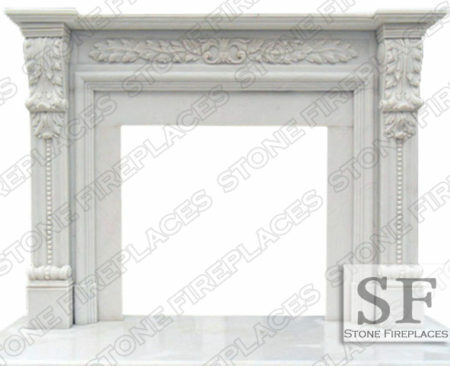 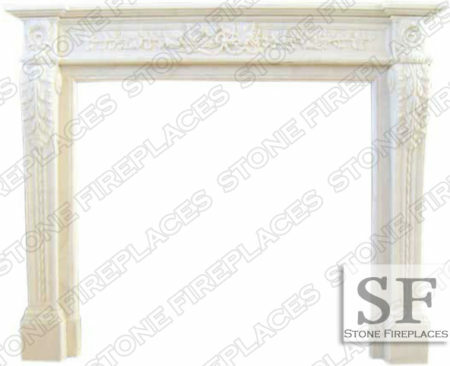 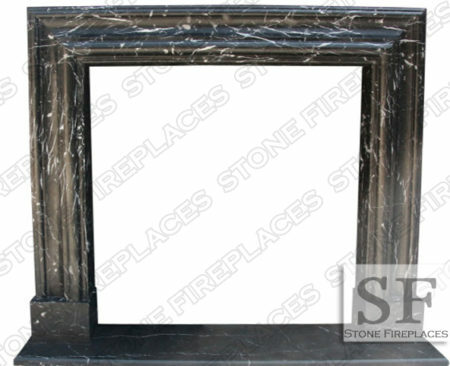 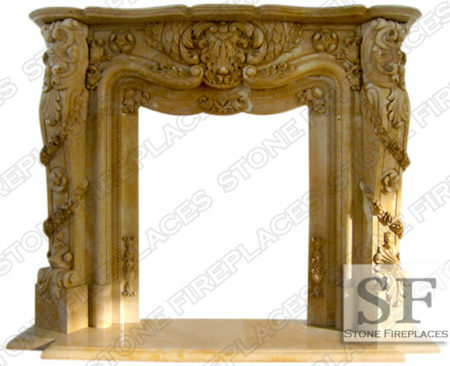 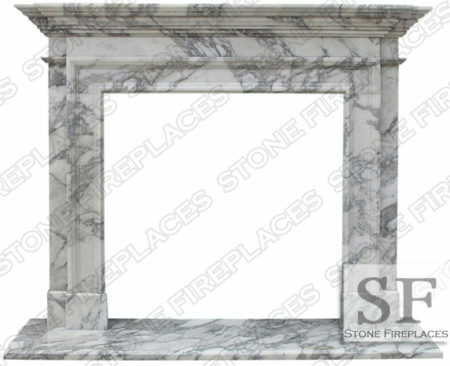 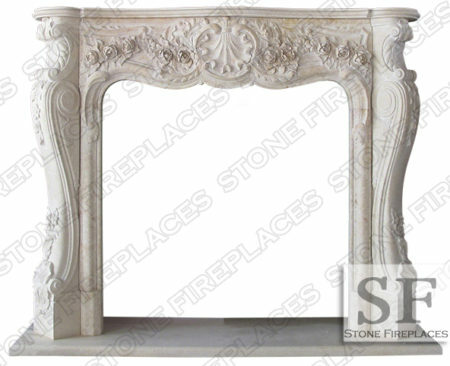 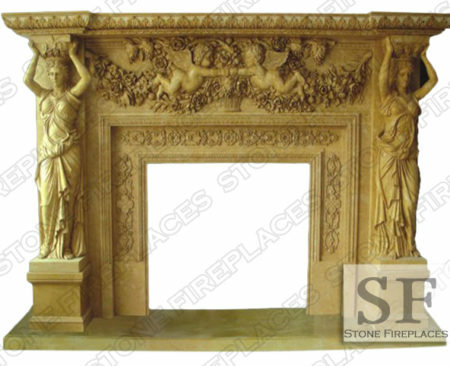 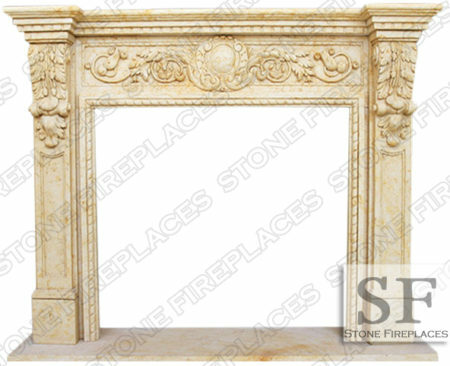 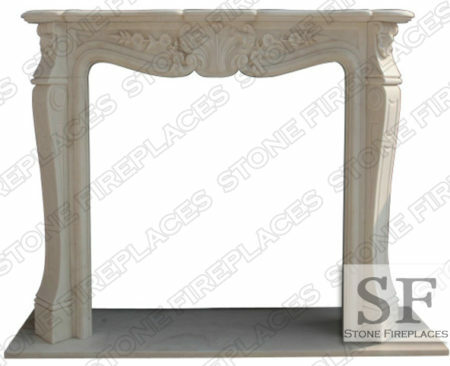 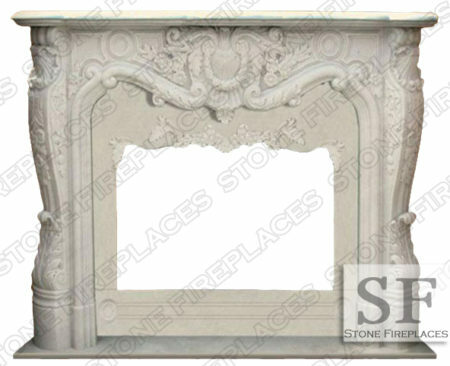 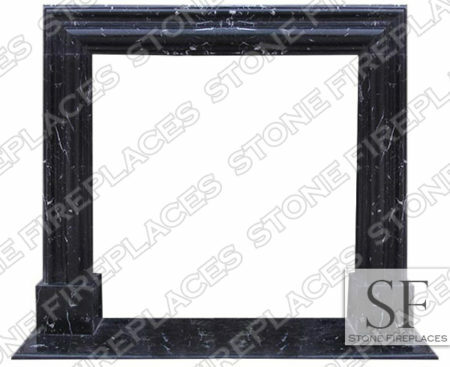 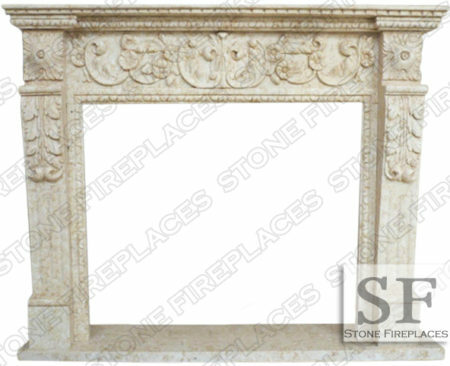 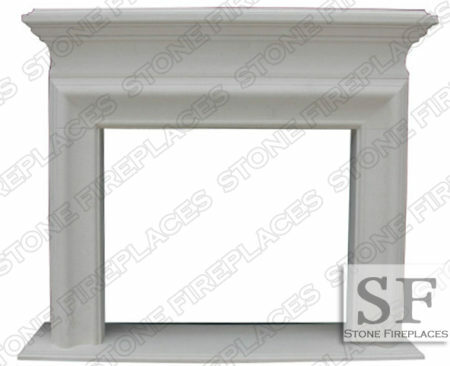 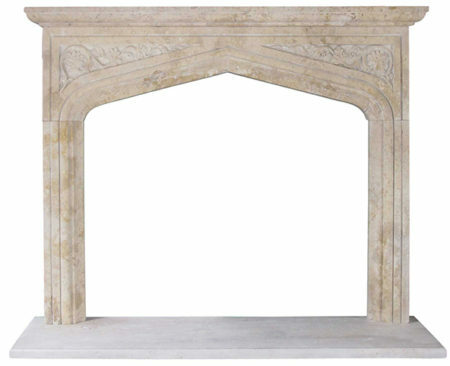 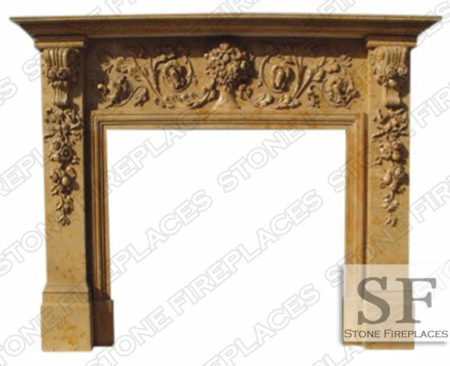 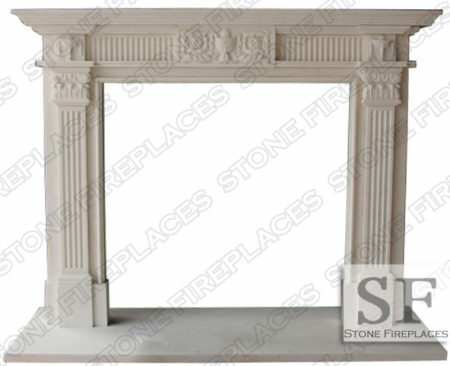 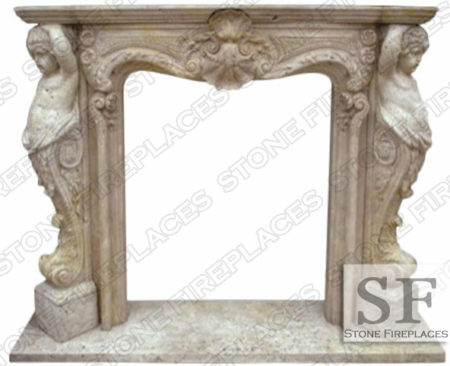 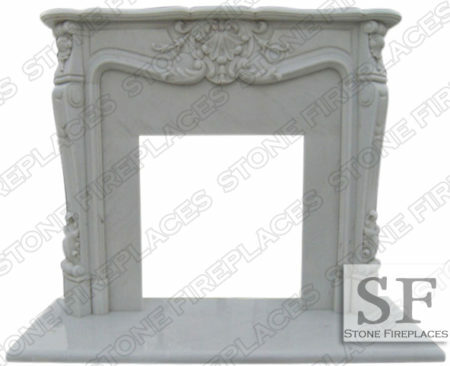 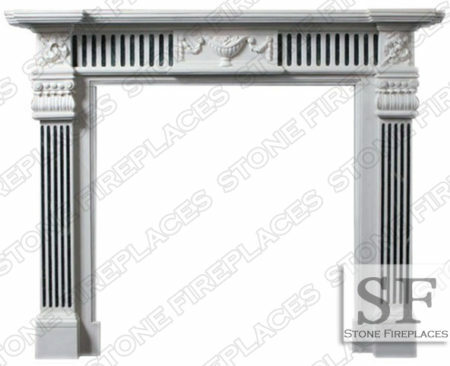 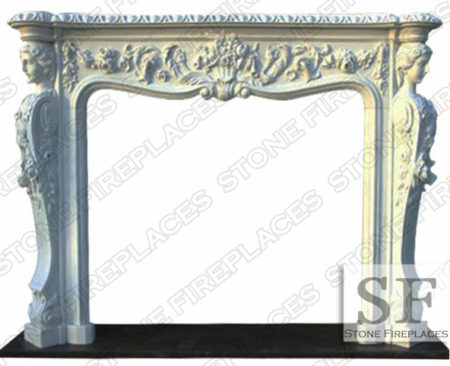 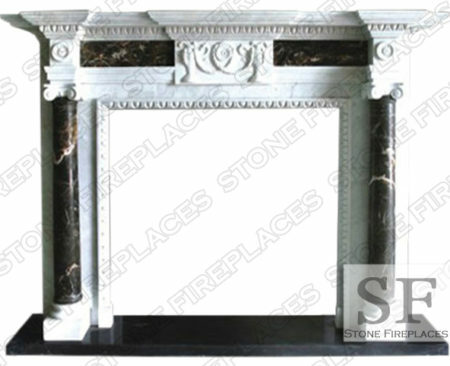 The Connecticut marble fireplace surround is a French Style mantel. 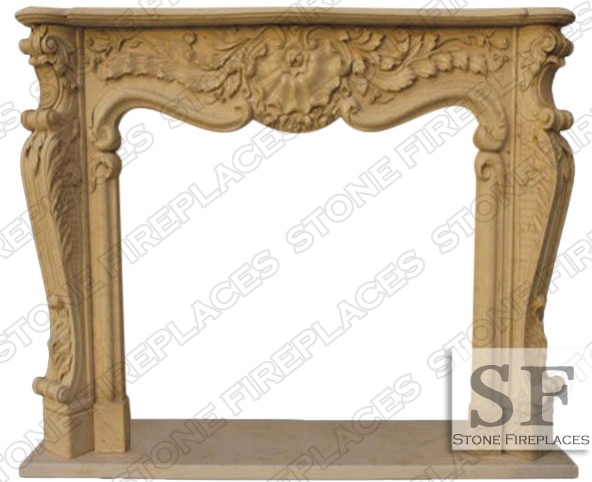 Beautiful leaves and the “S” curves carved into the legs. 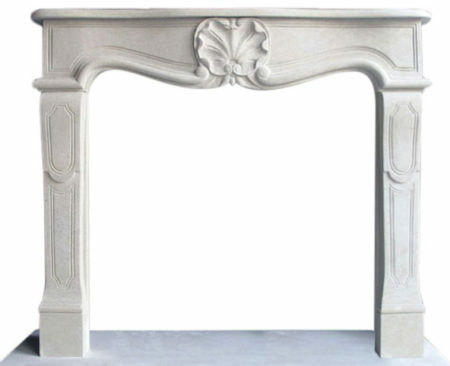 This is very typical of French design. 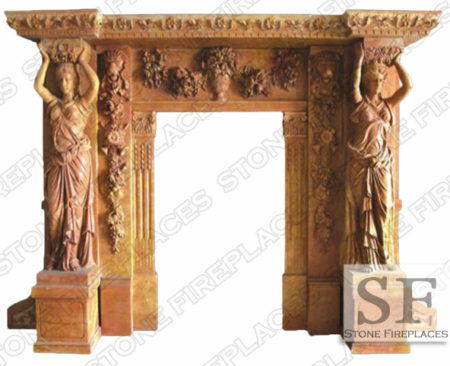 Made from a stone that has a very even toned warm color. 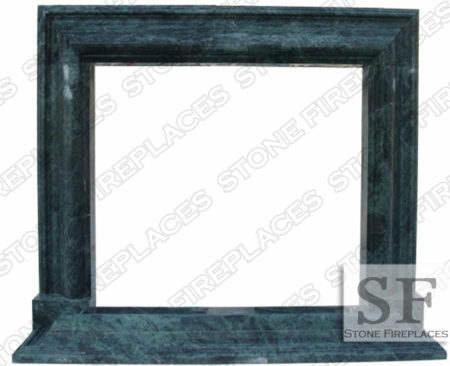 The consistent color that gives it a warm feel. 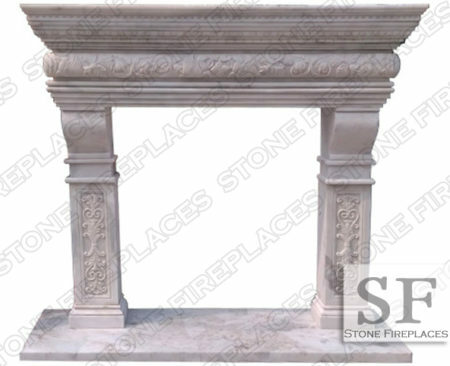 The hearth is carved from the same stone. 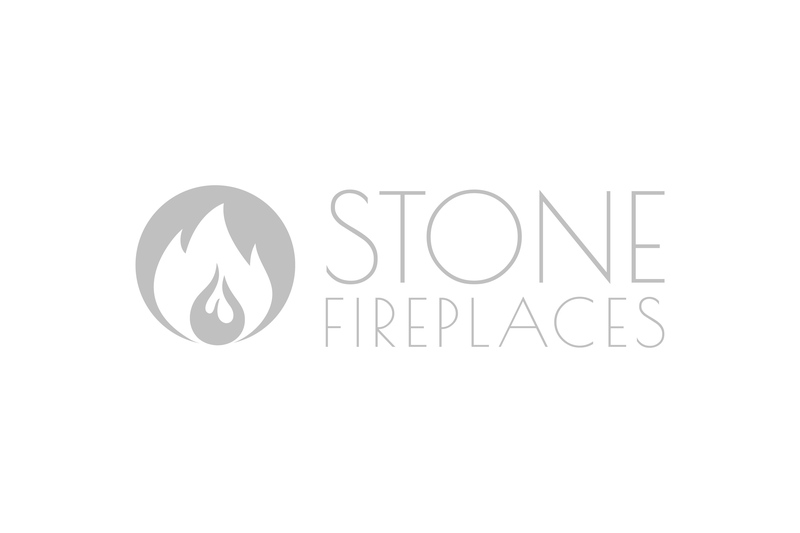 We provide installation on fireplaces locally in the Chicago-land area including but not limited to Evanston, Highland Park, Hinsdale, Oak Brook, and Barrington. 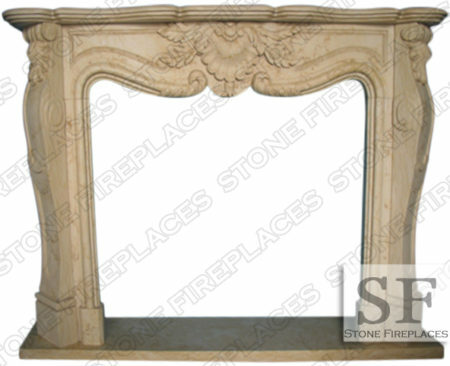 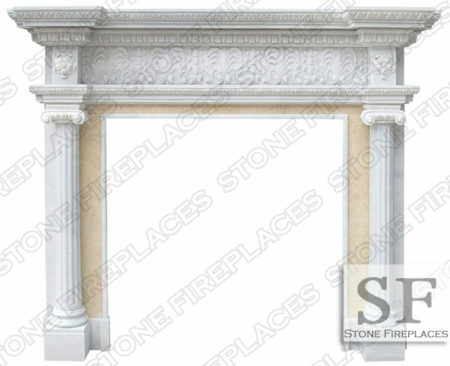 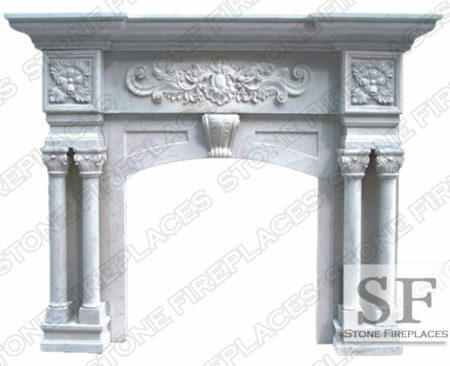 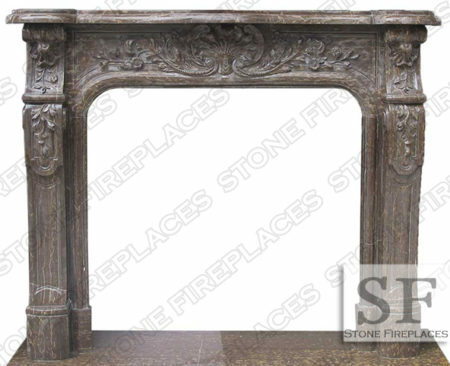 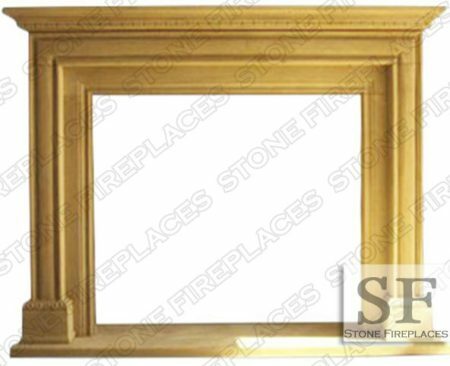 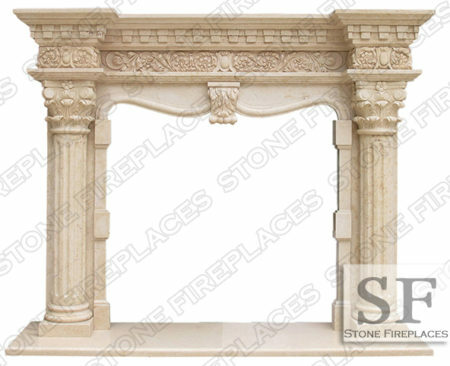 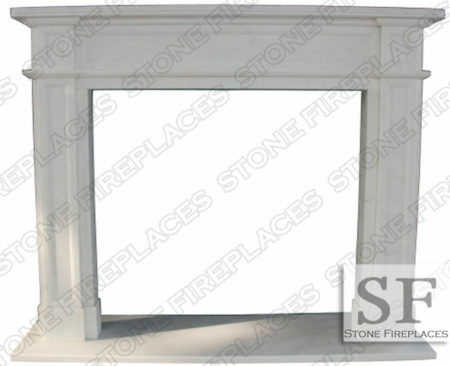 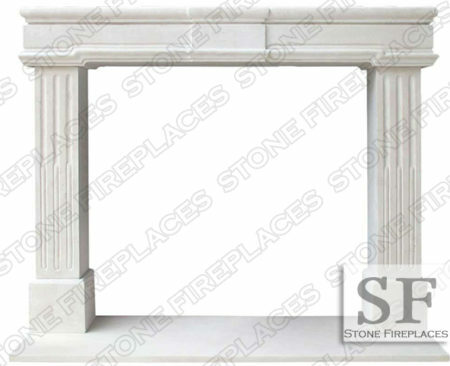 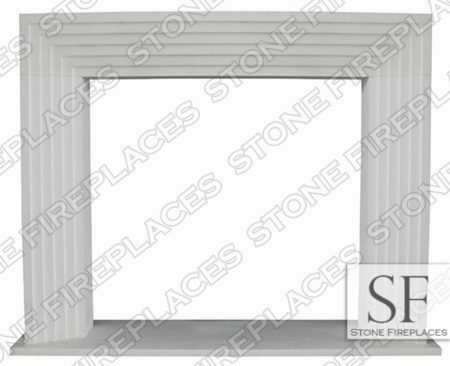 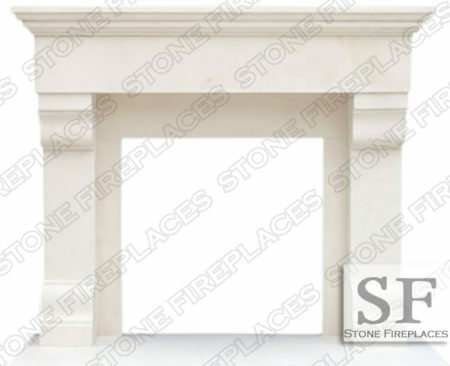 Stone Fireplaces ships to the East Coast to areas such a New Jersey, New York, & Massachusetts.